The University Arena in Limerick was the venue for the recent Irish age groups Division 2 competition held on the 24th - 26th of June. 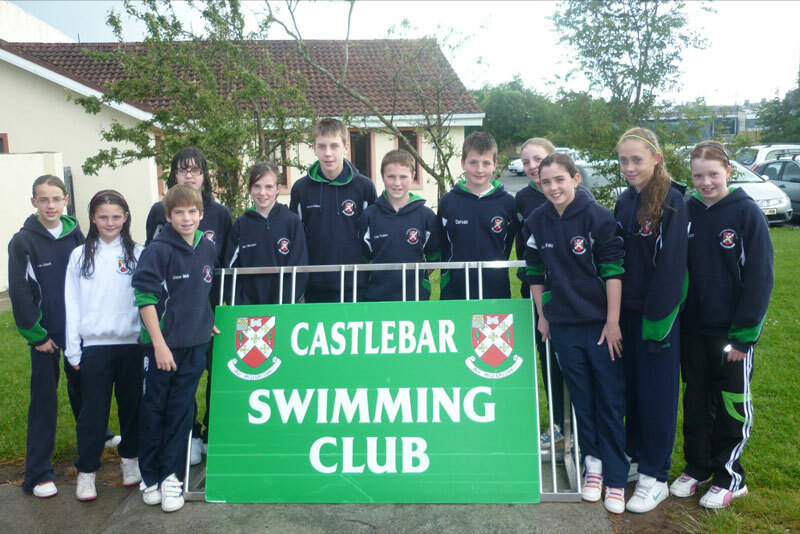 Castlebar swimming club sent a team of 13 swimmers to compete in the various age groups and were rewarded with an amazing total of 18 medals including 5 golds 8 silvers and 8 bronzes. 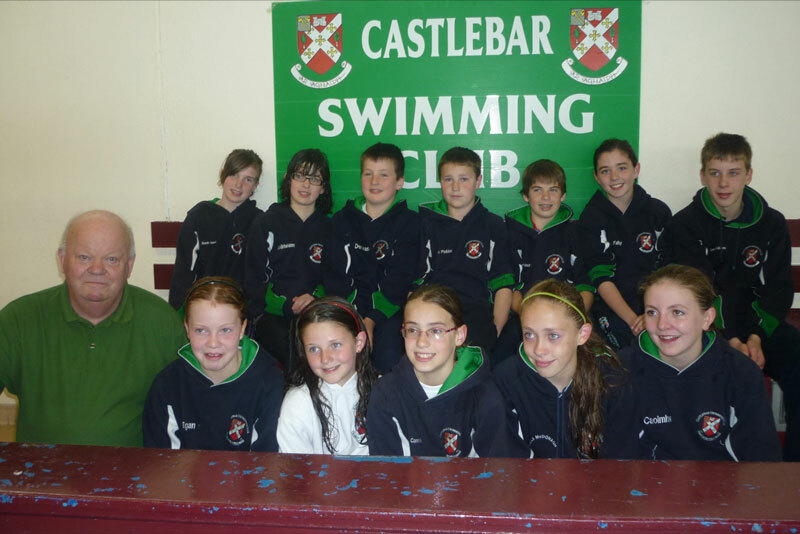 There were also a number of swimmers who achieved qualification times for the Irish open age group championships (division 1 ) to be held in July. Edel Egan making her debut at this level produced an amazing swim in the 800 meter freestyle not only taking the gold medal but also achieving her division 1 time. It was to prove an incredible few days for the 11 year old who added a silver to her collection in the 400 meter freestyle in a time of 5.17.28 ensuring a division 1 time for next year. Caoimhe Hennigan swimming in the 13 year age group also enjoyed a superb three days of competition. Her highlight came in the 400meter freestyle where she took the gold medal in a fantastic time of 5.12.48 a division 1 qualification time for next years championships. Caoimhe also added two silver and two bronze medals to her personal tally. Siofra Horan turned in an excellent performance in the final of the 100 meter breaststroke taking the bronze medal and also achieving next years division 1 time. Laura Fahy had a superb swim in the 100 meter freestyle final narrowly missing out on a medal but having the consolation of gaining her division 1 time. The girls relay team of Laura Fahy, Edel Egan, Niamh Henneghan and Siofra Horan also took gold in the 200 meter medley relay. Completing the line up for the girls with some excellent swims and personal best times were Aoibheann Hennigan, Nicola Connelly, Paula McDonagh and Siofra McHale. In the boys section Condlae McGurrin had an excellent threedays of competition resulting in a personal haul of fivemedals two gold, two silver and one bronze. Con's two golds came in his main events the 100 and 200 meter backstroke. He also achieved his qualification times for this years division 1 championships. Mark Dervan took the gold in the 200 meter breaststroke with a fine swim securing this years division 1 time in the process. He also took the silver medal in the final of the 100 meter breaststroke. Ryan Padden also enjoyed medal success in the 100 and 200 meter freestyle events taking the silver on both occasions and gaining his division 1 time. He also took the bronze in the 200 meter backstroke. Completing the line up for the boys was 11 year old Conor Melly who was making his debut at this level and enjoyed some fine swims and personal best times.